In a business world that is increasingly focused on online presence and reputation, a relevant and strong digital marketing strategy and design is essential for a company to stand as a leader in their industry. At Full Media, we strive to outperform other internet marketing companies and web designers by providing excellent service in the website development, search engine optimization, and pay per click advertising arenas. With offices in Atlanta and Gainesville, Georgia and in Chattanooga, Tennessee, we serve clients from around the world, helping them to grow their businesses and their online presence. We work with small and mid-sized clients to improve their overall internet marketing strategy and website design while providing unparalleled, personalized customer service. Not only do we value high-quality work, but we are results-driven, focused on long-term client relationships, and committed to expanding your online presence with cutting-edge strategies and tools. Our clients not only love the services we provide, but the personalized ways through which we provide them. A handful of our clients have reviewed our work on our Clutch profile. Clutch is a ratings and reviews site based in Washington, D.C. that specializes in creating and maintaining successful business partnerships in the B2B arena. Client reviews with Clutch are completed via brief phone calls, which are then turned into online reviews that follow a case study format. They provide unbiased, third-party reviews to help clients make informed decisions about which providers would be ideal to hire for their projects. They are currently building up their database of technology companies and digital agencies and adding new client reviews every day. Aside from our style, our clients exalted our expertise and willingness to go above and beyond in delivering the perfect product. The director of marketing and business development for an urgent care center shared his excitement with our work. 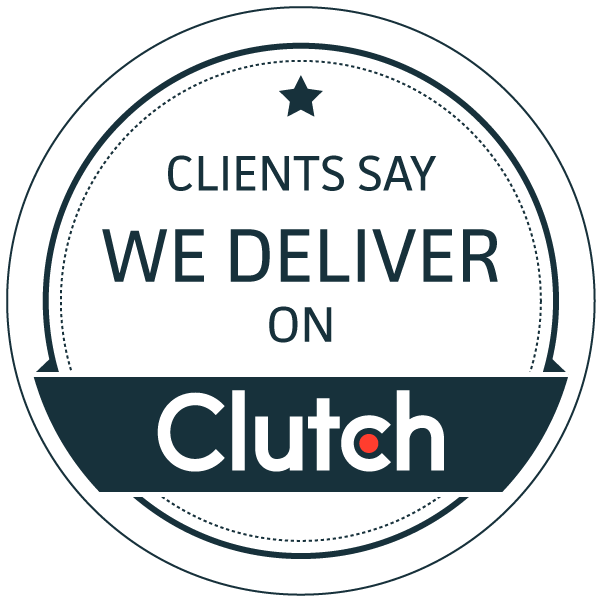 We are excited to be on board with Clutch and continue to work to incorporate our clients’ feedback to provide the best possible service. Thank you to all of our wonderful clients!